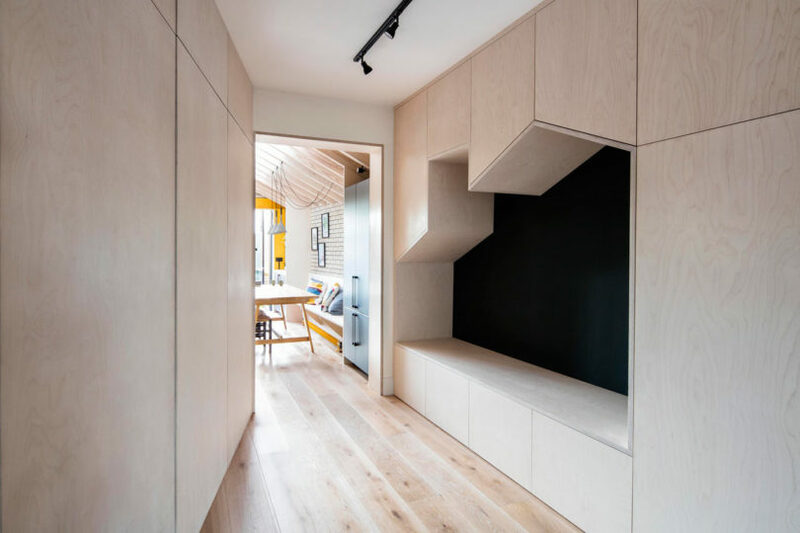 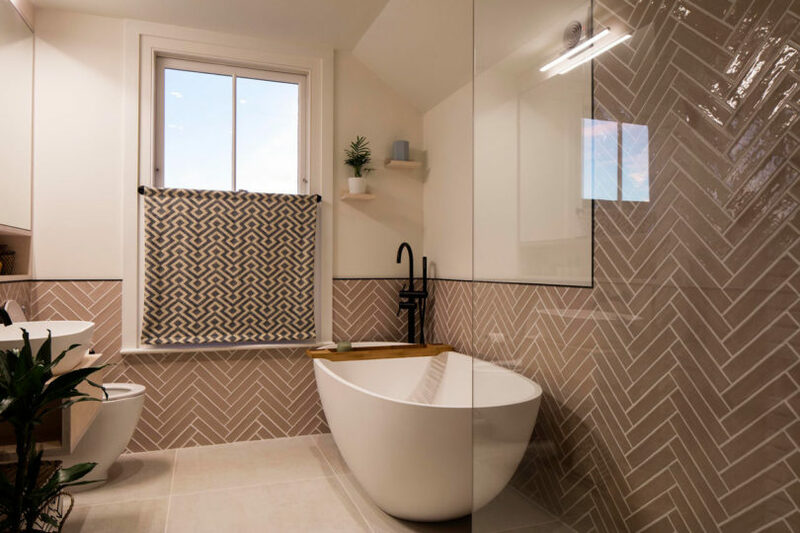 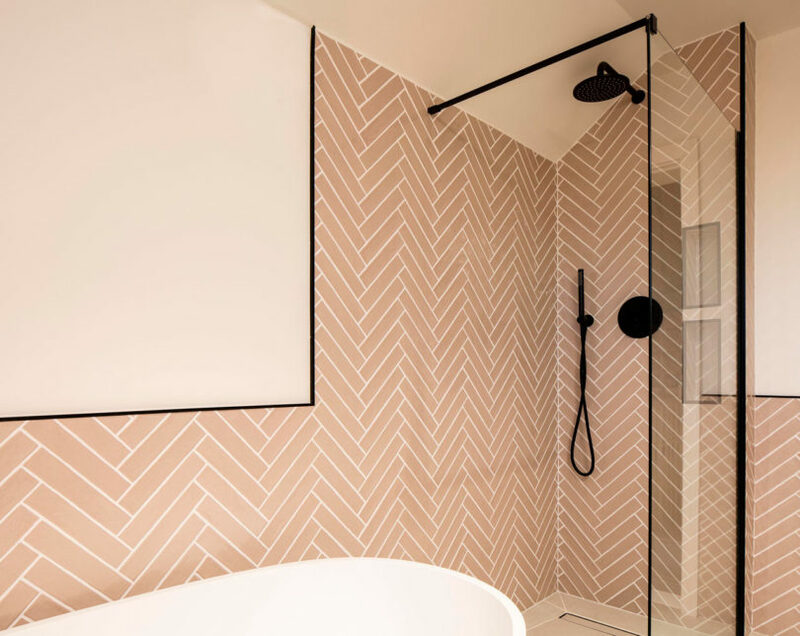 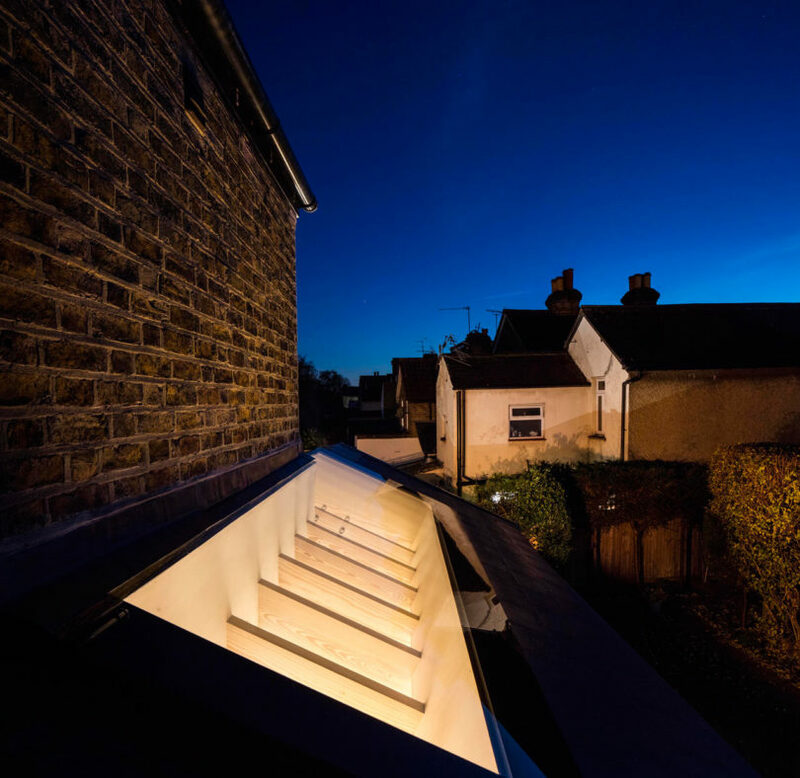 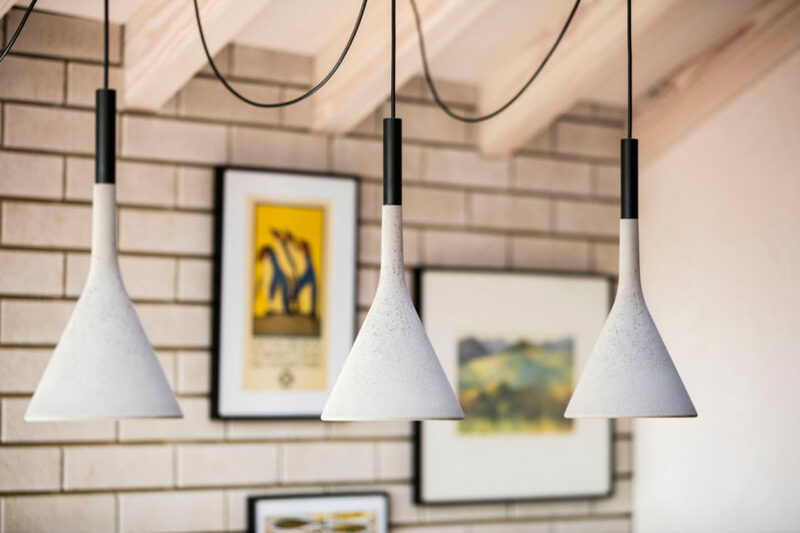 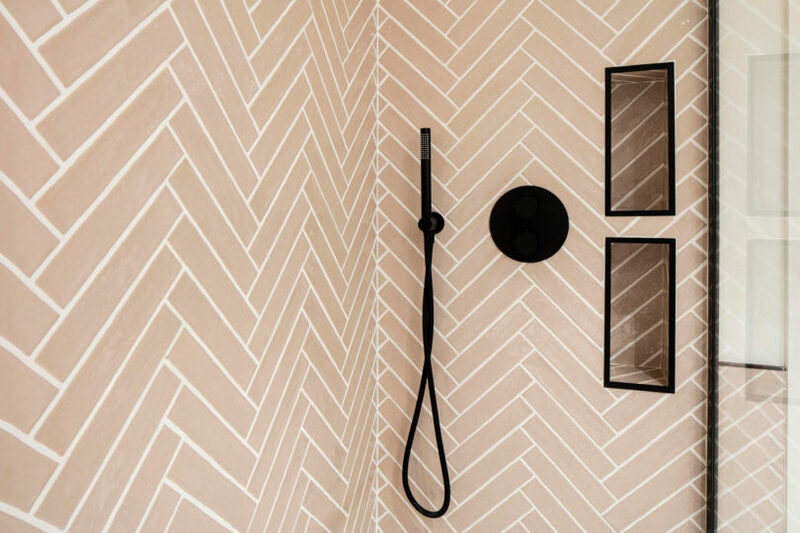 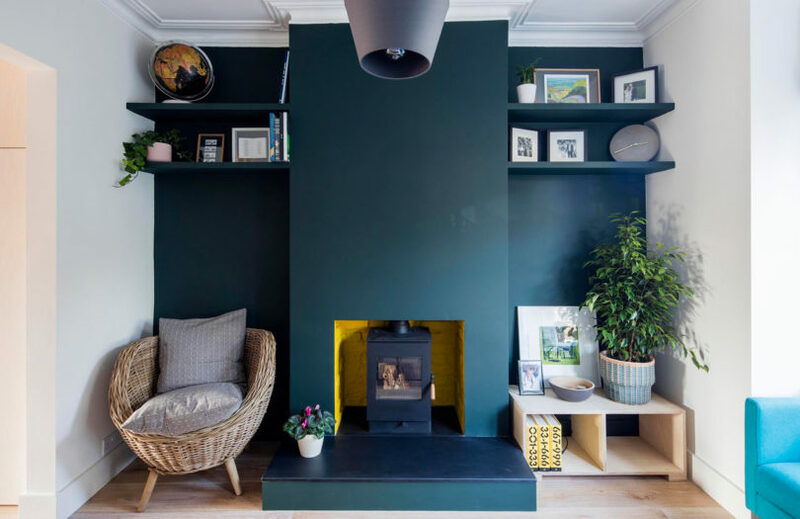 Woodrow Architects’ founder designed an extension to his terraced home in Hampton Hill, South West London, that also included renovating the ground floor, bathroom, and garden. 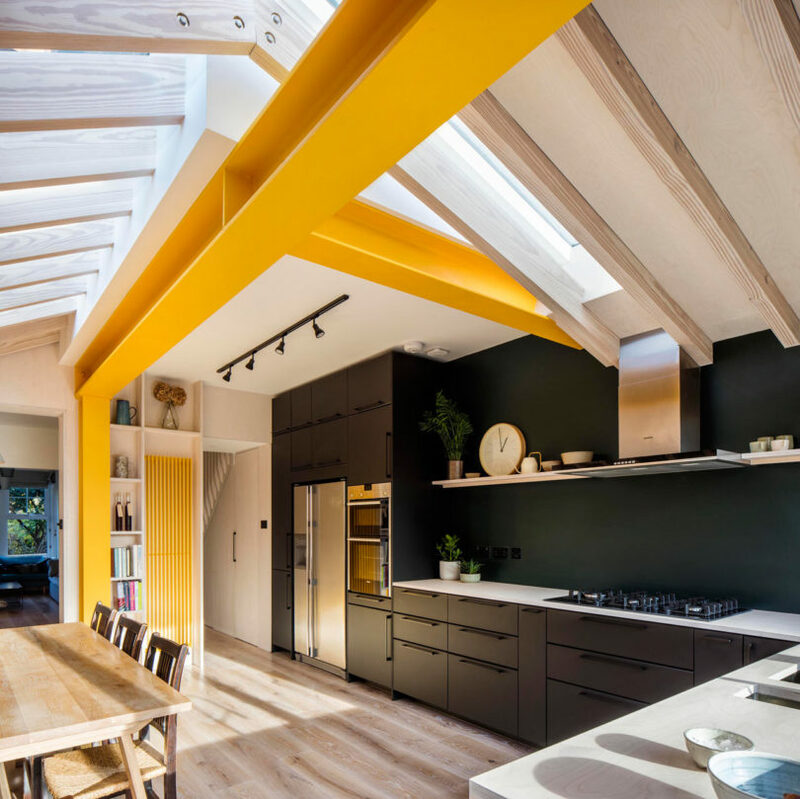 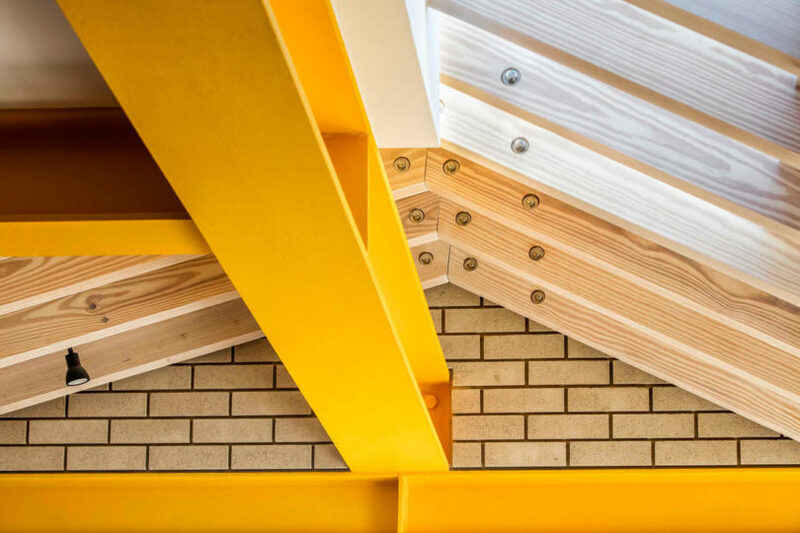 The Yellow Steel House incorporates bold yellow steel beams, wood rafters, and plywood enclosures for a cheery, contemporary feel. 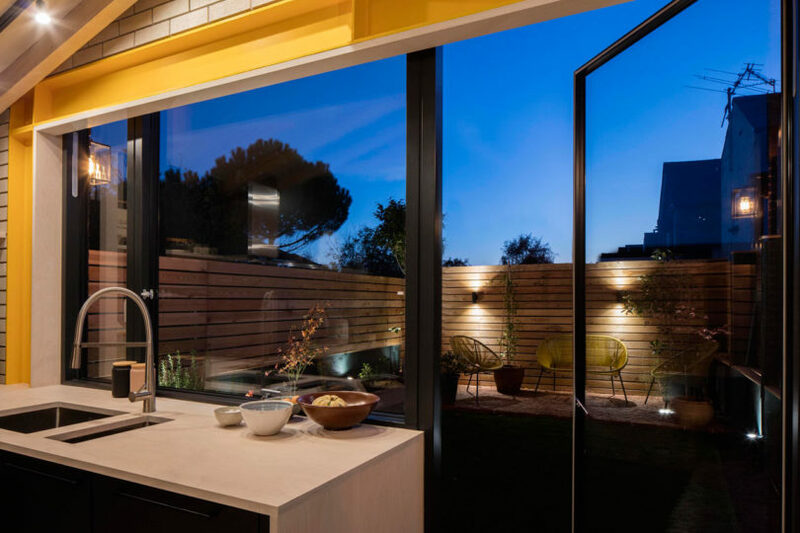 The new kitchen features matte black walls and cabinets which ground the bright yellow details. 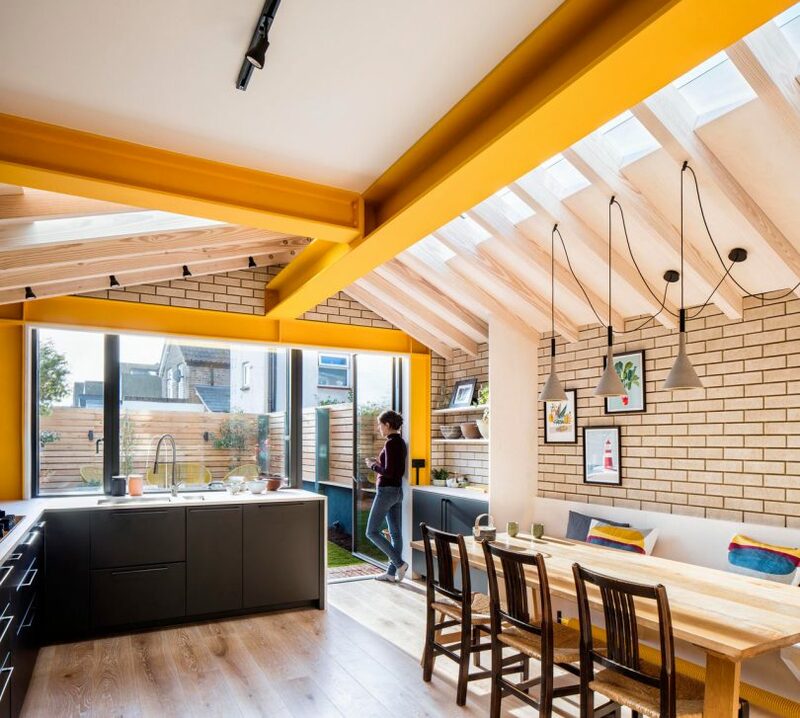 Much of the extension’s roof is composed of glass keeping the addition filled with natural light. 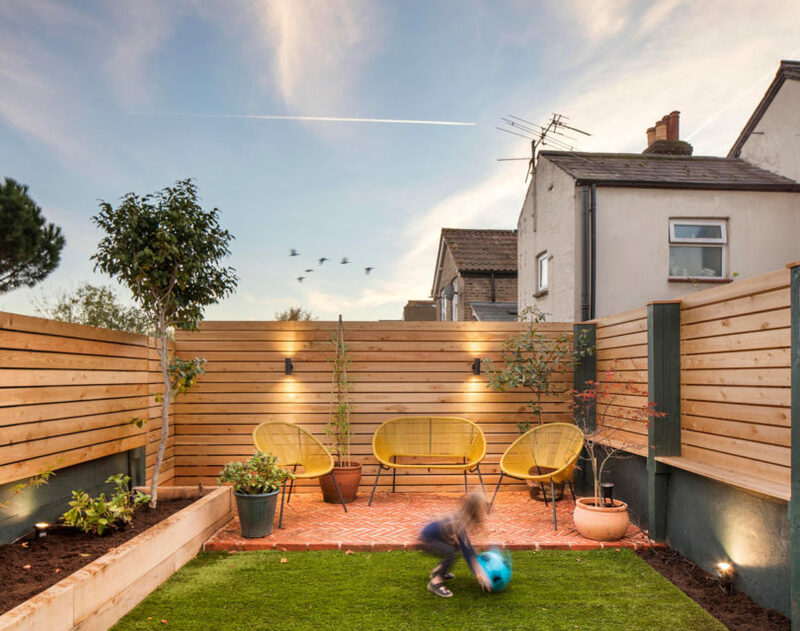 The garden was given a makeover as well and it’s surrounded by a horizontal wooden fence for privacy. 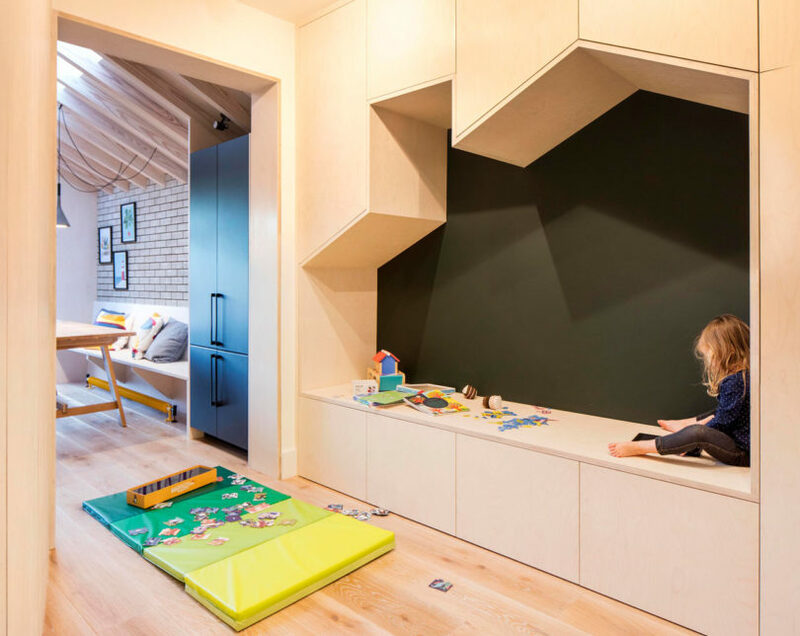 A playroom off the kitchen features geometric storage cabinets that form a home’s roofline. 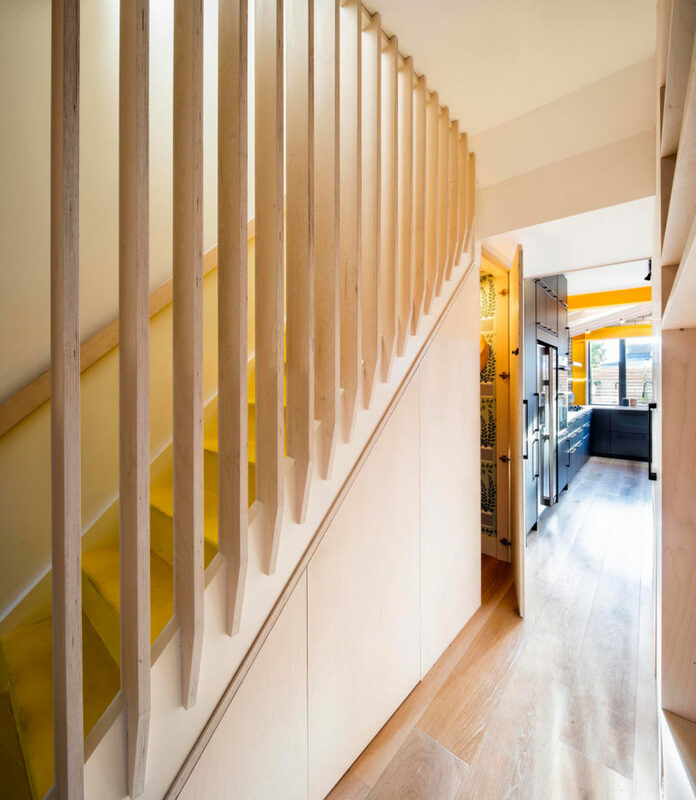 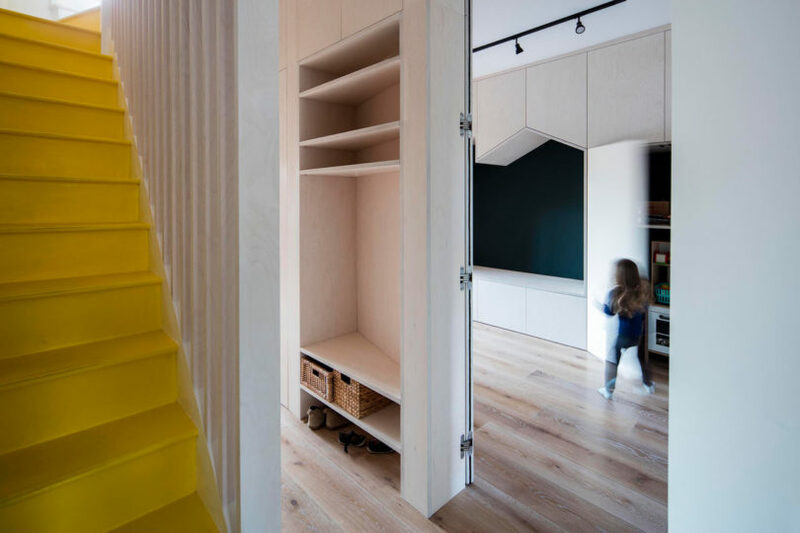 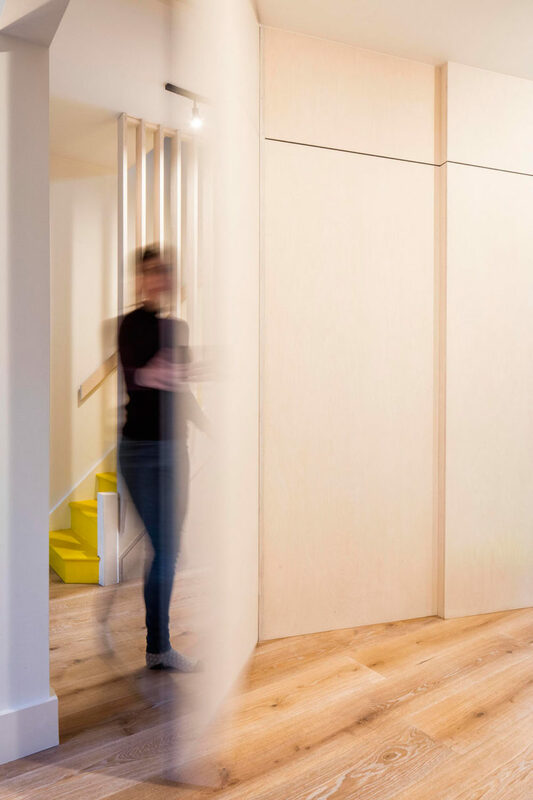 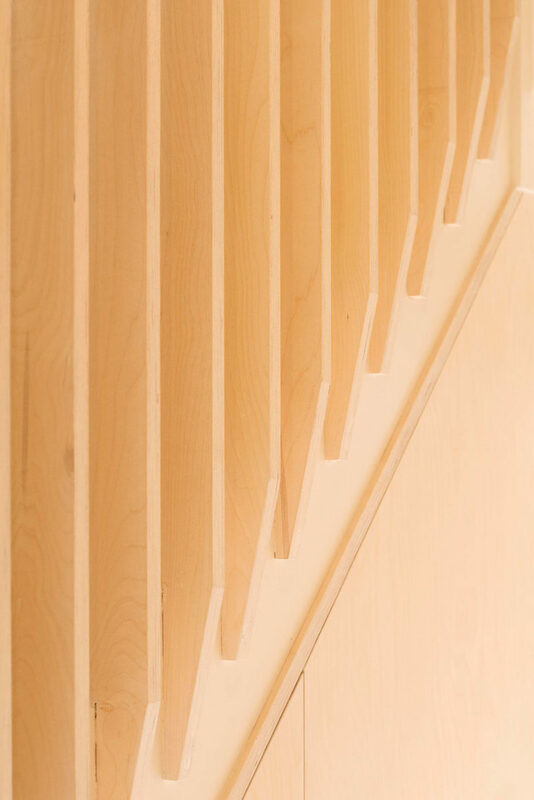 The staircase received full-height plywood spindles while the original treads and risers were painted yellow to match the project’s accent color. 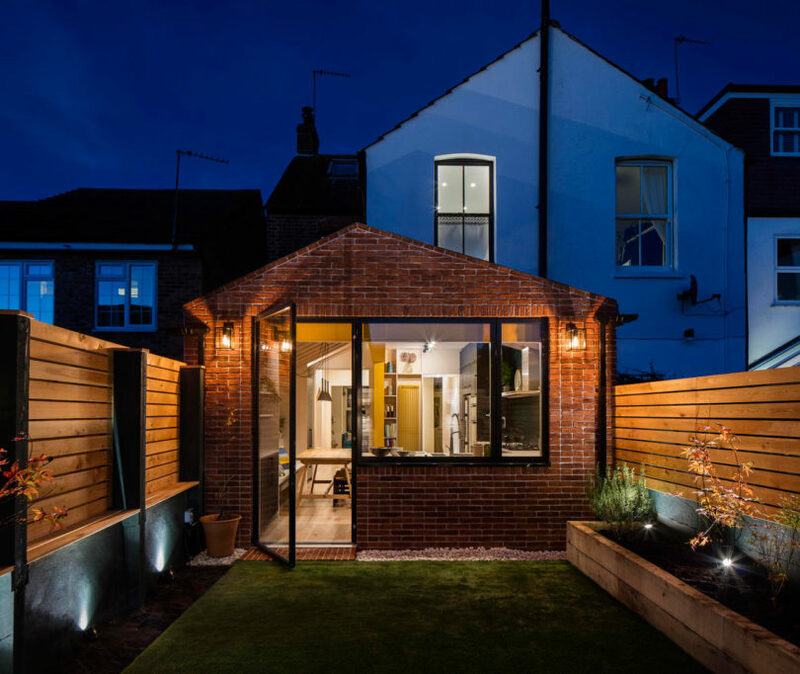 Photos by Will Scott Photography.